Our dogs can be our best friends and are as much a part of the family as anyone else but how likely is it that they’ll become the subject of theft? According to a Freedom of Information request from The Insurance Emporium, dog theft is an increasing problem in the U.K. We want you and your pet pooch to enjoy your adventures without the worry of something going wrong, so here’s our guide to canine crime. In the last three years, a total of 5,704 dogs were stolen in England, Wales and Northern Ireland. This saw an increase of eight percent in the last 12 months and meant an average of six dog thefts every day! The Staffordshire bull terrier has been the most common canine target for this crime with 684 stolen between 2015 and 2017. These statistics were collected by The Insurance Emporium from 38 police forces across the U.K. with the Metropolitan Police seeing highest number of thefts in 2017 at 225. We all know that celebrity culture can lead to some wild and wacky crazes! The likes of Paris Hilton and Serena Williams are often snapped with their pint-sized pets and this has led to a huge surge in popularity. The downside of this? The value of these dogs has reached hundreds and even thousands of pounds on the black market, making them a prime target for thieves. Unfortunately, the rise in thefts of ‘handbag dogs’ such as pugs, Chihuahuas and French bulldogs could be partly attributed to this. These crimes now account for over a quarter of pedigrees that are reported stolen in the U.K.
It’s not all bad news! There are plenty of measures that you can take in order to decrease the likelihood of your pet being pinched. Ensuring that your garden is secure might be a logical first step. Considering that 29% of dogs were stolen from their owner’s garden this could make a big difference. Also, leaving your pet anywhere outside whilst unattended could be a bad move! Remember that microchipping is now a legal requirement, getting this done for your pup as soon as possible might make it easier to track and identify your pet pooch! 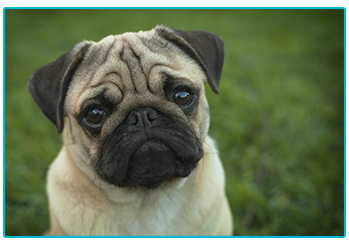 At The Insurance Emporium, we think that awareness of pet theft risks is extremely important. Pet Theft Awareness runs a week from 14th to 21st March every year, and aims to help prevent pet theft through greater awareness of the risks. They are also working hard to change the laws and penalties surrounding the theft of dogs, cats and other animals in order to deter thieves. Believe it or not, it’s currently viewed no differently to stealing a bicycle in the eyes of the law! If you want to find out more, just head to their website at pettheft.org.uk. Having an awareness of dog theft and taking some simple steps to try and avoid it could mean that you and your pooch never have to deal with this awful crime. It might also be worth getting some Pet Insurance in place to help if the worst happens. 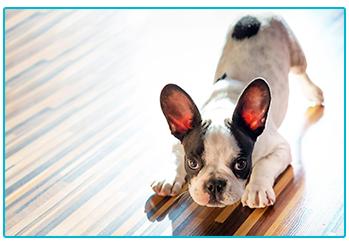 At The Insurance Emporium, our Dog Insurance policies include cover up to £850 for Advertising & Reward*. Head to The Insurance Emporium today to find out more! *This figure applies to the Lunar Monthly Lifetime Gold, Lunar Monthly Time Limited Gold and Lunar Monthly Maximum Benefit Gold Dog Insurance policies. 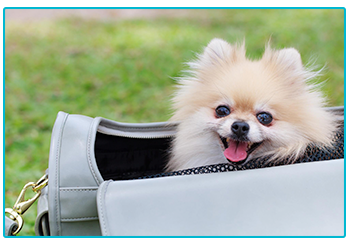 This blog is in no way sponsored, endorsed or administered by, or associated with Pet Theft Awareness.